HPNZ’s beekeepers live and work in the South Island of New Zealand where the clean, green pastures of the coastal plains stretch into high-mountain ranges and unspoilt native forests. HPNZ specialises in the supply of honey to international private label brands and exports honey all over the world both as packed product and bulk. 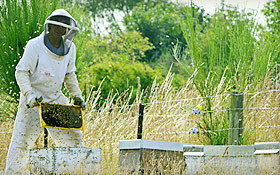 They also also specialise in the production and processing of cut comb honey. 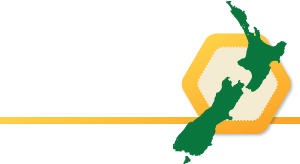 With more than 10,000 beehives and 400 years combined beekeeping expertise, the HPNZ community are dedicated to producing pure, unique honey for the international market. New Zealand is a remote, but prosperous country of just four million residents, with a reputation for high-quality primary produce and strong, established transport links with the rest of the world. The country prides itself on the high-quality and purity of its honey products, produced in pristine rural conditions that are within hours of busy cities and efficient exporting infrastructure. 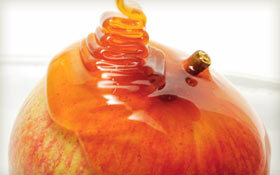 When you buy from HPNZ you can be assured of the quality, safety and integrity of your honey product. Kamahi Honey has a complex earthy flavour and is not particularly sweet. The honey is relatively light in colour with a yellow tinge. Kamahi can be packed as both a liquid or set honey.